Portugal's know for it's beaches. No surprise there. Up and down the coast, or across in the case of the Algarve, or around in the case of Madeira and the Azores, many kilometres of sandy beaches, possessing all kinds of characteristics, can be founds. We also know that the majority of the Portuguese population live along the coastal regions so beach access is by no means difficult to come by for many. Now for those who live in inland communities, where ocean beach access is not so easy to come by, the alternatives are either water parks, river beaches or dammed-up swimming holes. 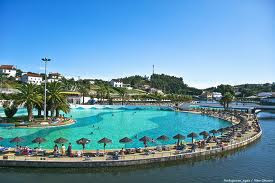 In all cases, in Portugal these bathing locations are better known as praias fluviais. Many of these beach complexes, in fact, are created to become much more then just a place where you can go for a soak, often becoming mini-entertainment complexes. 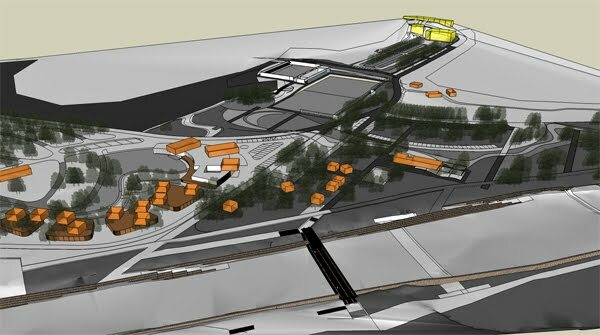 The two projects shown below - Mangualde's Live Beach (on the left) and Praia Fluvial de Valhelhas (on the right) - show exactly this. 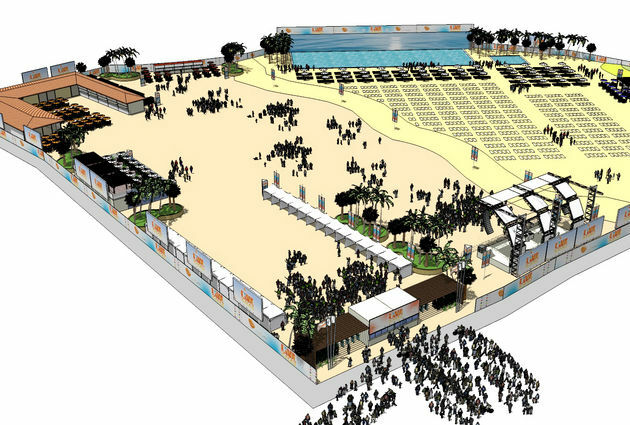 Mangualde's Live Beach comes with a stage and holds concerts by big name Portuguese acts through out the Summer. Equally Valhelhas host a rock festival towards the end of August. 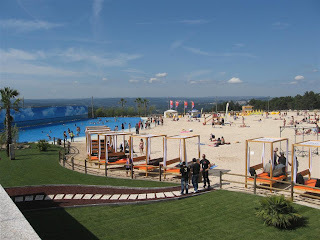 So although these somewhat 'mega-projects' have been carried out to bring the coastal beach-like atmosphere into the interior, let it be said that the traditional praia fluvial of the Portuguese interior are actually historic in nature, or should I say as historic as the villages or aldeias many can be found in or close to. A simple visit to the site http://www.praiasfluviais.com/ will provide you with all sorts of information and here you will see exactly what I speak of. For a true bathing experience in history ... pick anyone of the 21 praias fluviais located in the shale villages (aldeias de xisto) of Central Portugal, for example. 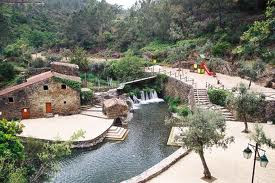 From the praias fluviais of Benfeita and Piodão in the Açor mountain range near Arganil, to Aldeia Ruiva, Mealhada and Fróia (pictured below) around Proença-a-Nova, all are beautiful man-made bathing locations in the midst of history and rural tranquility, worthy of being experienced. As also mentioned, another praia fluvial option is that of beach areas created by river reservoirs. Although various can be found through out Portugal, again in Central Portugal the River Zêzere and the Castelo de Bode reservoir provides some of the best praias fluviais in Portugal. The aldeia of Dornes near Ferreira do Zêzere is one such example, providing the beauty of a small mountain village with two very relaxing beaches along the Zêzere (see below). So if you're still thinking of putting in some beach time this Summer here in Portugal, your encouraged to consider the praias fluvias Portugal has to offer. It's most definitely a soak worth taking. I have discovered till now. But, what about the conclusion?